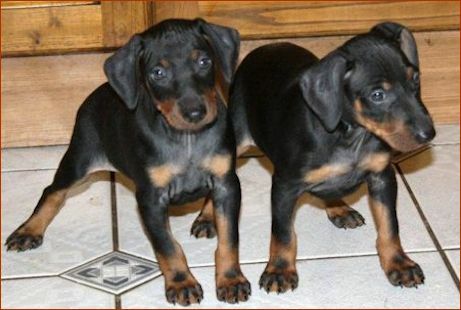 Eaglespur has been at the forefront of Manchester Terrier breeding since the 1950s. 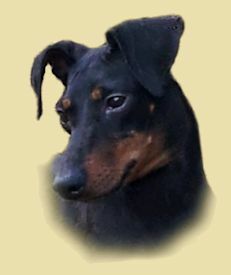 Whether you want to show, breed or simply enjoy your Manchester Terrier for the intelligent, loyal friend they will be, we’ll be able to help. 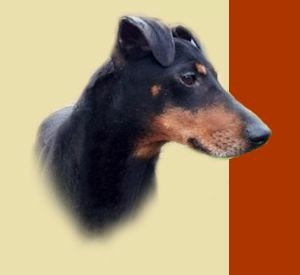 Enid Teague Knight, founder of Eaglespur Manchester Terriers and international championship show judge, has placed great faith in us by giving us the opportunity to continue the quality breeding programme of this prestigious kennel - we don’t intend to let her down! All the dogs lead a wonderful life on our farm (see our ‘A Dog’s Life’ section) and have produced their first litters of delightful, healthy puppies in their new home! We’re delighted to have found lovely homes for all the puppies, where we hope they will bring their owners much pleasure! If you would be interested in joining the waiting list for a puppy from a future litter, we would be grateful if you could complete an enquiry form, please, so that we have all the necessary information to enable us to help you, and we’ll get back to you promptly. Photos of some of our puppies at rest and play can be found in the Gallery. THE NAME AND THE QUALITY CONTINUE!